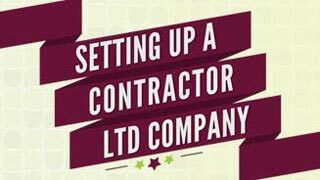 “The Quickest & Easiest Way to Start Contracting through a LTD Company"
How you go about getting your Company set up. Looking to start Contracting but unsure of which trading structure will be best for you? 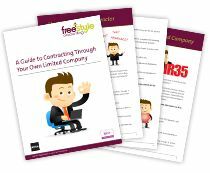 Then look no further as all of your questions will be answered here in our Freestyle Contractor Accountants ‘all you need to know’ Umbrella vs Limited Company comparison. We cover all of the important points including the differences in trading structure, what your potential earnings/savings could be, what administration and paperwork will need completing and which Contracting situation suits each trading structure the best. 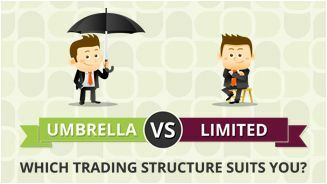 All of this will give you the information that you need to make the right decisions as to whether you opt for a Ltd or Umbrella Company trading structure. Our unique online portal has been specifically created for Contractors. Easy to use, it enables you to create client invoices, submit your expenses and will even tell you how much you can pay yourself. Take our portal for a ‘test drive’ today to see how easy it is to Contract through your own Limited Company! Umbrella or Limited Company - Which is Right for You? Freestyle Accounting provides accountancy and tax planning services to Contractors, Freelancers and Consultants throughout the UK. As specialist contractor accountants, we have unrivalled experience of the freelancing and contracting industries. This experience, together with our cutting-edge IT systems, enables us to supply contractors with high quality, competitively priced accountancy solutions. With many years of contractor accountancy experience across our specialist team, your accounts are safe in our hands. 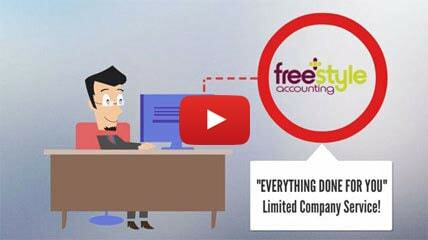 Freestyle are ACCA qualified Chartered Certified Accountants and Tax Advisors and are also accredited by The Association of Independent Professionals and the Self Employed (IPSE), the largest association of independent professionals in the EU. We have offices based near Warwick University in Coventry and in Central London. For the vast majority of Contractors, Contracting through their own limited company is by far the most tax efficient way of working. Due to the tax advantages available you can retain more of your contracting income legally – significantly more than if you were operating through an umbrella company, where your income is nearer 60% of your total earnings. As a director of your own limited company, however, there are significant administrative responsibilities that need taking care of. This is where Freestyle step in with our truly all-inclusive service. As you can see our service truly is ‘all inclusive’! Additionally, If you join and you’re not satisfied with our service in the first 30 days, then let us know and we will refund your fee*.